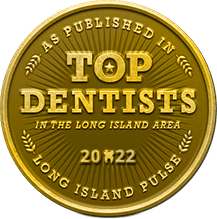 Dr. Allan Mohr at Smile Creations has been a trusted cosmetic dentist in the Massapequa Park area for the past 30 years. 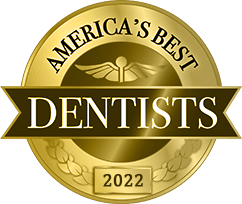 Supported by his experience and reputation for providing impeccable care through a high standard of service, residents in surrounding areas are more than willing to drive to his practice for all of their cosmetic dentistry needs. 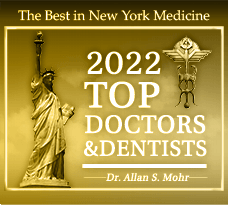 As a cosmetic dentist in Bellmore, Dr. Mohr will exceed your expectations for comprehensive cosmetic dentistry to create generations of healthy, stunning smiles. Dr. Mohr provides the latest advancements in cosmetic dentistry to deliver world-class results to his patients. He’ll give you a complete smile makeover using Zoom Whitening to remove stains and discoloration from your teeth. With whiter teeth, you’ll reverse the signs of aging for a brighter smile. Dr. Mohr also offers many other cosmetic procedures to enhance the appearance of the teeth. Whether you need dental bonding to repair chips and cracks or want porcelain veneers for a more luminous smile, Dr. Mohr will create the results your want—just ask his lengthy list of satisfied clients. Throughout his career as a cosmetic dentist, Dr. Mohr has helped numerous patients achieve the smile they crave. Take Mary as an example, who visited the Bellmore practice from Brooklyn to have the gaps in her teeth corrected just a month before her wedding. Just in time for her big day, Dr. Mohr was able to decrease the gaps between her teeth using porcelain veneers and cosmetic bonding for a truly amazing smile. Dr. Mohr also helped Tajuana get the smile she has always wanted after living for years with baby teeth on the right side of her smile. She also had large spaces that left a gap between her two front teeth. Dr. Mohr was able to evaluate her smile to create a custom bridge to fill the gaps in her smile. Not only did she receive a new smile, but she also benefited from increased oral health. Dr. Mohr is also pleased to help men achieve a better smile. Take John P. as an example, who had various complications impacting his oral health and the appearance of his smile. Dr. Mohr created a comprehensive treatment plan to restore his oral health and smile. His commitment to his patients also allowed him to help two siblings, Brendan and Elissa. These adult twin siblings suffered from multiple issues that hurt their smiles, including gaps, discoloration, and alignment issues. Both siblings were self-conscious about their smiles, but Dr. Mohr allowed them to smile with confidence by using porcelain veneers to resolve the cosmetic flaws. These are just a few of the satisfied patients who have made the drive to Massapequa Park to receive exceptional cosmetic care from Dr. Mohr. He will create custom treatments using the best advancements in dentistry to give you a smile you’ll want to show off. Don’t hide behind cosmetic flaws any longer. 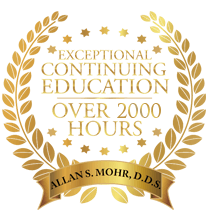 Schedule a consultation with Dr. Mohr today. by: allanmohr at February 23, 2016 .